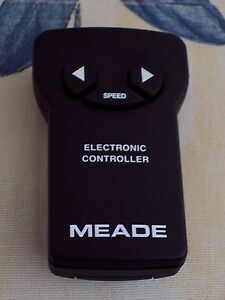 Details about Meade ETX 1244 1247 and DS series telescope focuser Hand Controller Paddle NEW! Excellent condition. Prompt seller shipment. Just Excellent! All around great!! Item as described. Fast Shipping. Recommend Seller! Outstanding product. Thanks from Geomadre.